Clean spots and spills quickly with products that do not damage the carpet or cause it to resoil quicker. 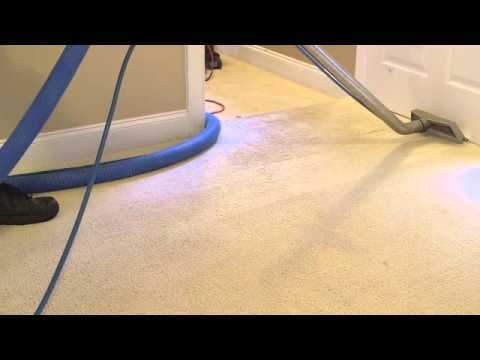 Professionally deep clean your carpets every 12 to 18 months to remove embedded dirt and grime. Use mats — Outdoor and indoor mats or runners can reduce the amount of dirt that enters the house. Take off your shoes — You can save wear and tear on carpet by asking everyone to take off his or her shoes before entering your home. Change your air filters — Change air filters in your heating and air-conditioning systems as recommended by the manufacturer’s directions. The more dust and particles removed by the filter, the less that fall on the carpet. Rugs deserve the same care as wall-to-wall carpet and, in some cases, require special attention. Washing rugs — If your rug is small and the label says “machine washable,” shake the rug outside first and then put it in the washing machine at the recommended temperature. Use warm water (90 to 105 degrees) and a mild detergent. Tumble your rug dry at the lowest heat setting. Beating larger rugs — If your larger rug is easy to pick up, shake it outside first; then put it over a clothesline and beat it. Next, take the rug inside and vacuum it. If the label says dry clean only, then roll it up and take it to a dry cleaner. Save time and aggravation by calling first to see if the cleaner does rug cleaning — many do not. Vacuuming area rugs — Area rugs with fringe require special technique. Use gentle suction and start from the center of the carpet, vacuuming toward the fringe and being careful not to catch the strands in the beater bar. Lift the carpet edge to vacuum beneath the fringe. Caring for Oriental, Turkish or Persian rugs — Clean imported rugs according to your carpet manufacturer’s specifications or bring in a professional cleaning service. Be gentle with fringe. For heirloom-type rugs, you need professionals.